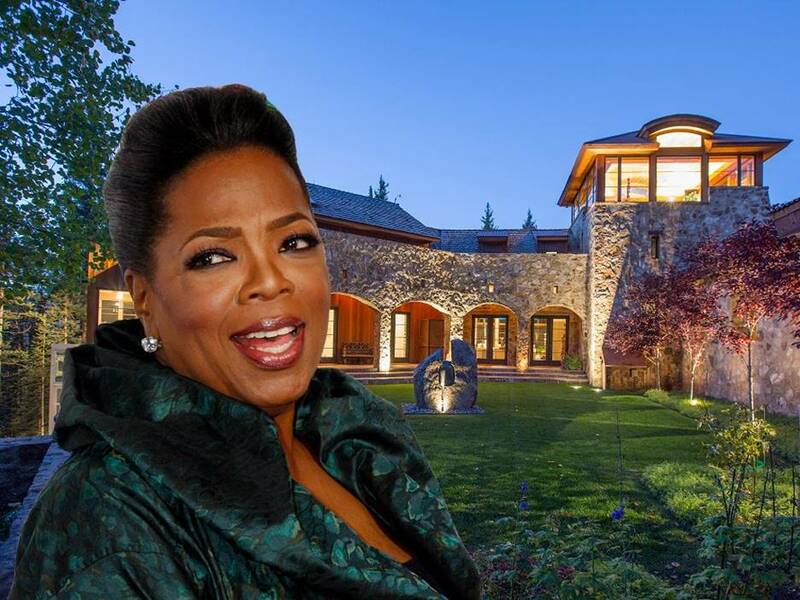 Oprah Winfrey is one of Hollywood’s few billionaires. 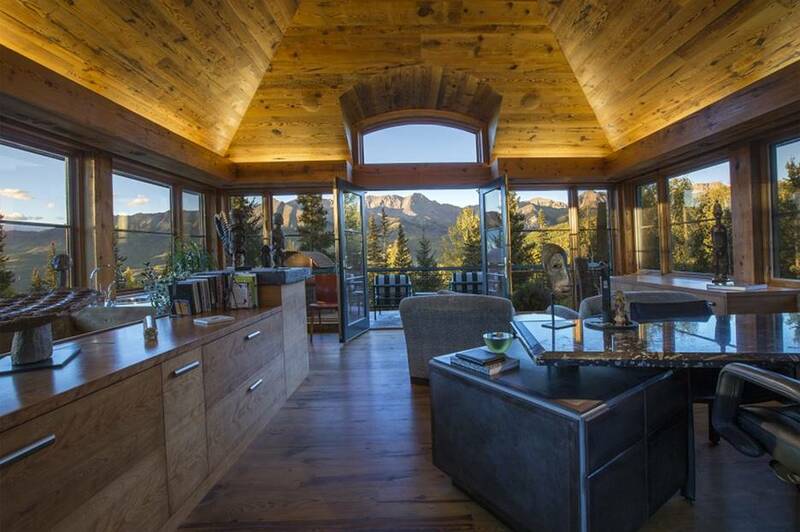 She recently jacked up her stock by purchasing a home in Telluride, Colorado for a couple of millions. This is where she stays during ski season. The home serves as the perfect hideaway for one of entertainments busiest persons. It offers the perfect way to relax. 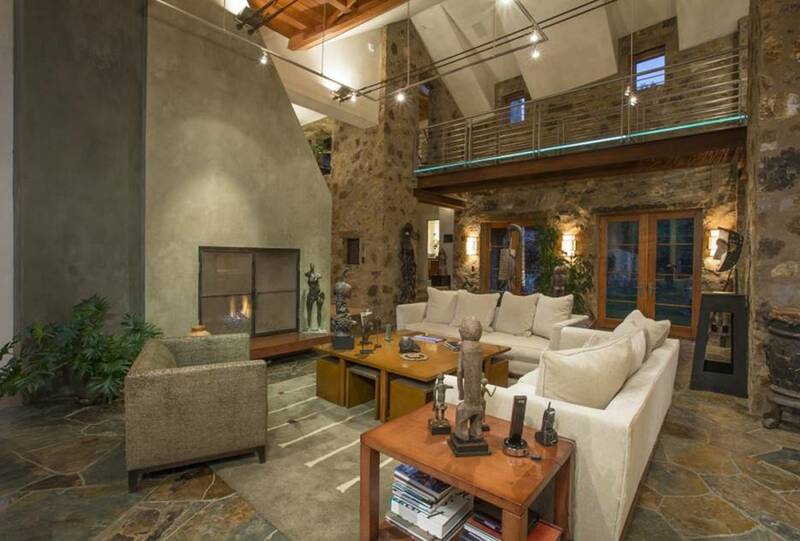 Every aspect of this home is beautiful inside and out. 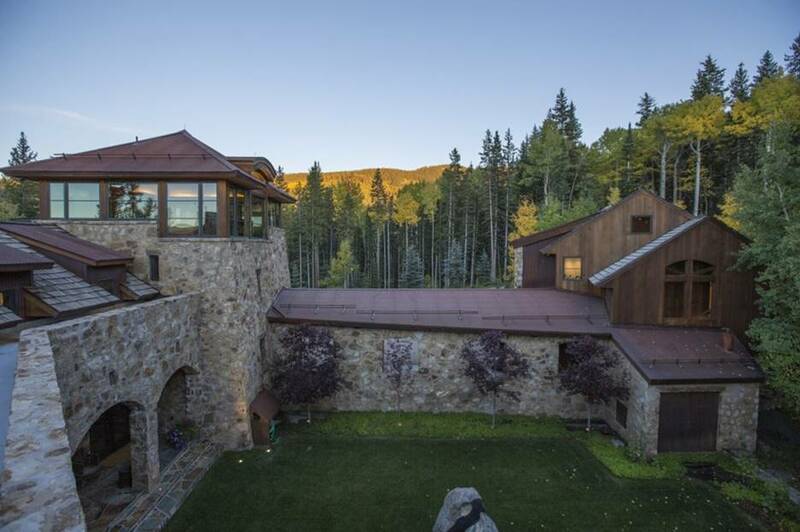 The home is located on 3.25 acres of land in Mountain Village. Oprah can take to the skis with a one-minute funicular ride down the slopes. A footbridge connects the main house through a trail amongst the tall trees. This gives Winfrey a feel of nature. At the opposite end of the footbridge is a bonfire area where Winfrey loves to sip a glass of wine while taking in the best of what nature can offer. Nature runs through the interiors as well. 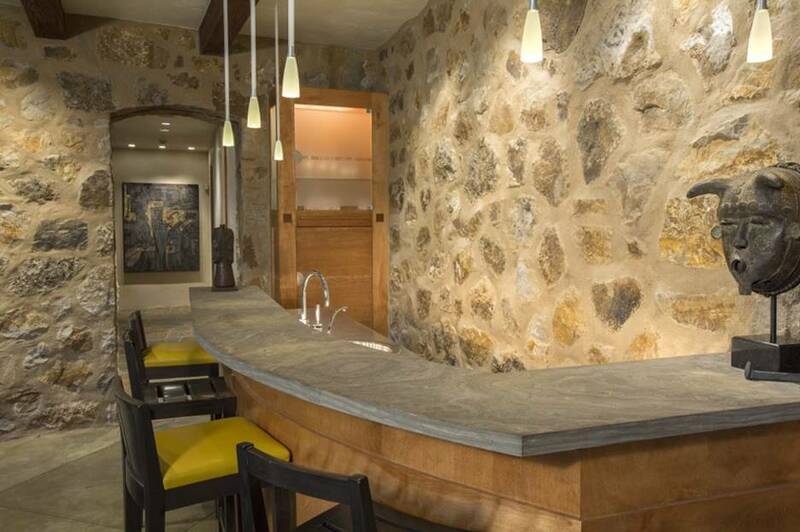 Riprap stones mix well with African art pieces and modern fixtures in the bar area. More African art pieces are seen in a collaborative mix with modern furnishings and natural stone finishes in the high ceilinged living room. 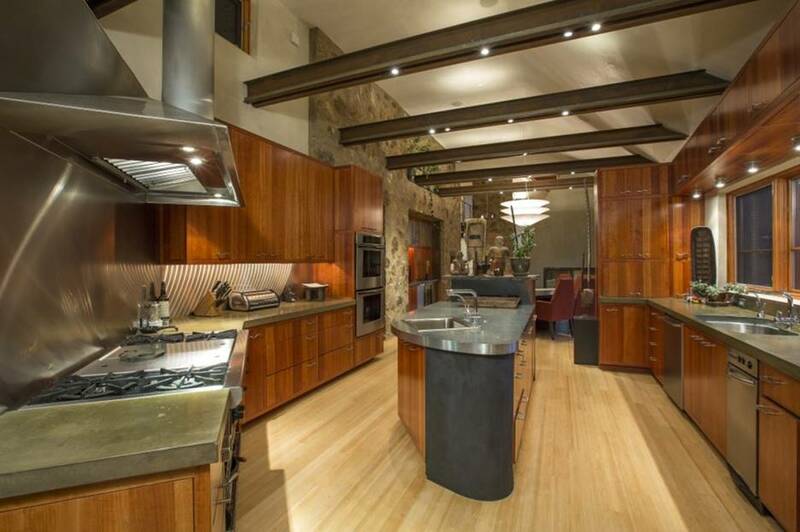 Winfrey’s personal chef executes all of her favorite dishes in this highly modern kitchen that is equipped to whip up a feast for her and her family and friends. The house sits on top of a hill that offers 180 degrees of pure, natural views of mountains and trees. 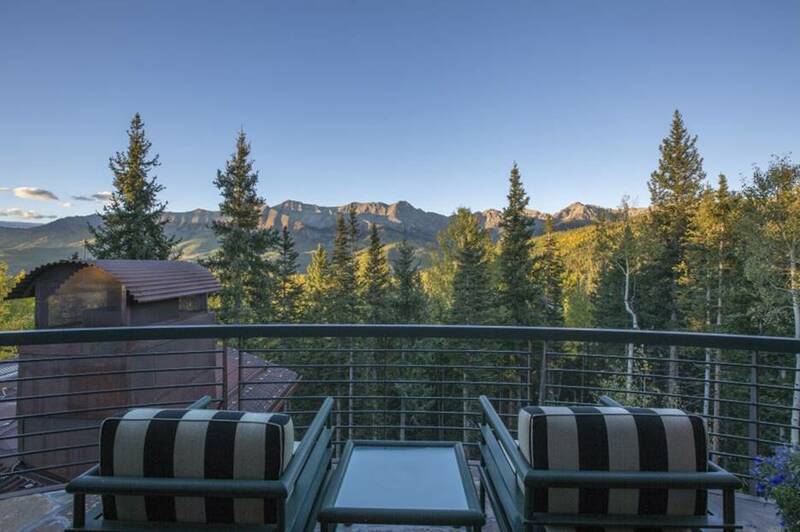 Everywhere Oprah looks, there is stunning scenery waiting for her. 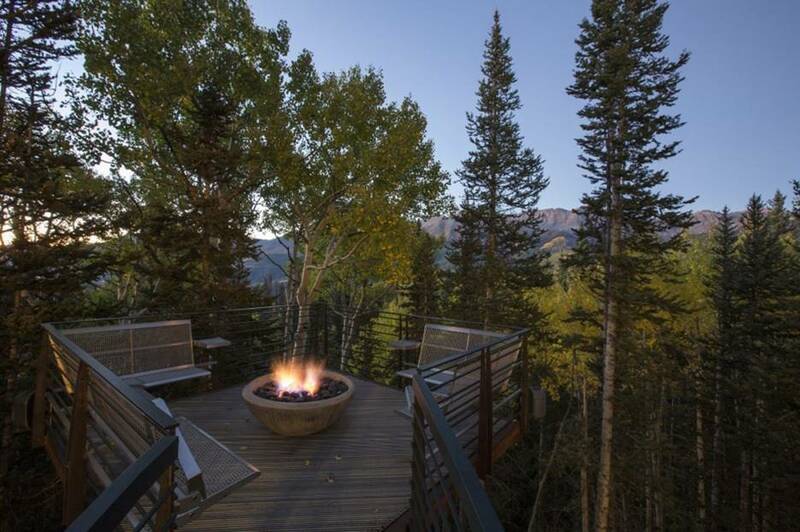 This outdoor deck is perched so high that it is almost at level with the tops of pine trees. To the left is the roof of the guest house. 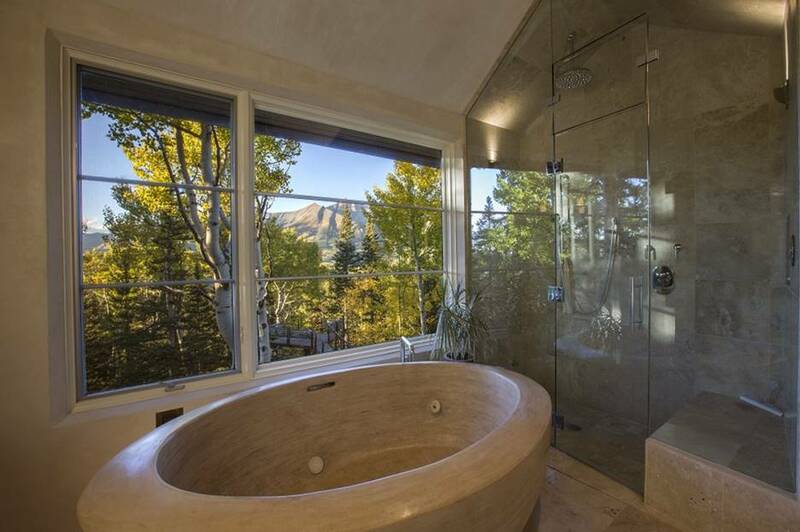 Winfrey loves to relax in this huge bathtub in the master’s quarters. The simple yet elegant bathroom is the perfect sanctuary for the Queen of media. 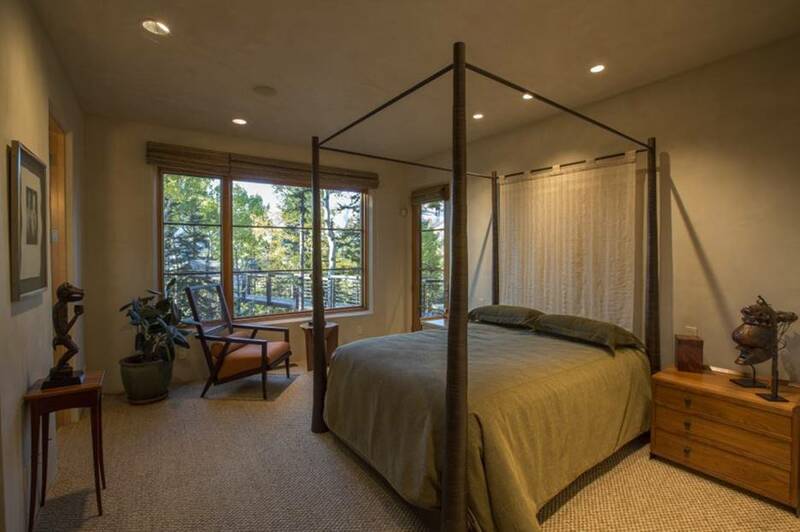 This comfortable bedroom has a classic four-post bed and has its very own access to the foot bridge just outside.